As part of a rationalisation of his music storage and delivery system, my friend BB gave me a box of CDs to take along to the next Record Fair. Comprising largely jazz from the more exploratory end of the spectrum and progressive music of the kind that defies genre labelling, BB had transferred the music to his 4TB music hard drive and concluded that he no longer needed the physical objects. 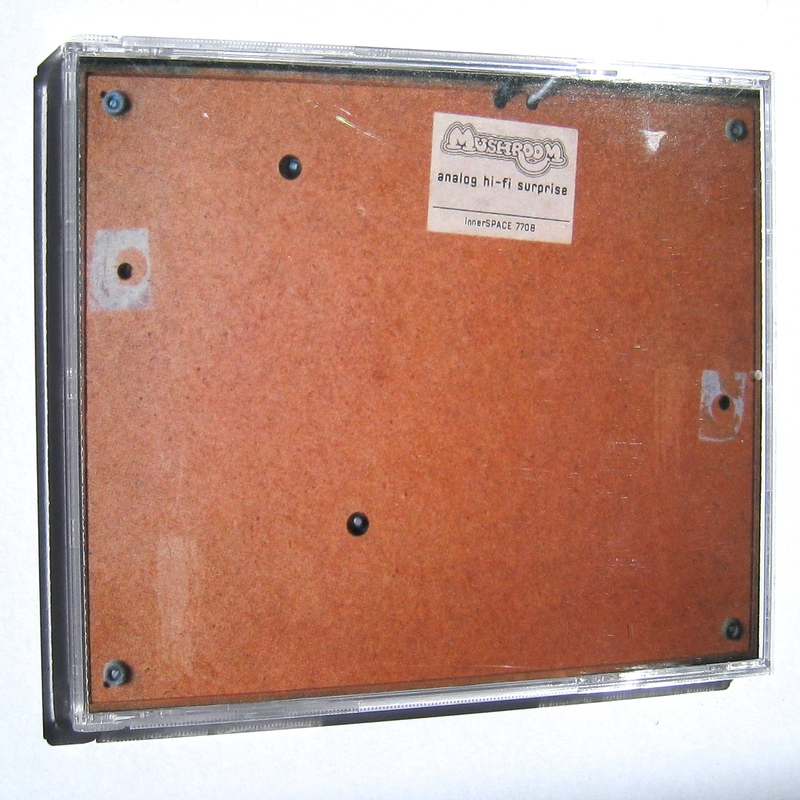 Now as someone deeply in love with a music disc you can actually hold, this seemed a most eccentric (or perhaps ascetic) way to proceed yet it had quite wonderful knock-on benefits for Vinyl Connection. The box became a kind of lucky dip into which I would plunge before embarking upon my daily commute. In some ways it took me back to a much younger time when all the avid music browser had to go on was the album cover and whatever information it chose to reveal. Some were not my cuppa tea, of course, but many grew on me. I found that the more complex music, in particular, started to unfold and reveal itself over three or sometimes even four spins and I reflected that it has become a rarity to play new music more than twice (the VC minimum before an album disappears into the deep dark forest of the collection, never to be seen again). Over a period of several months I accumulated a pile of CDs that had challenged and excited me and made a numbingly repetitive drive into something exotic and unexpected. My friend was delighted with my delight and an amusing conversation ensued. VC: How would you feel about me buying some of your CDs? BB: You can have them if you like. VC: No, no. Lots of these would sell at a Fair. VC: And I’ve got quite a pile. A dozen, in fact. VC: What were you going to ask for them? BB: I though $8 each. BB: But I’d rather you had them now than the prospect of a dribble of sales over the next year or so. How does a fiver each sound? VC: Like a steal. Seven dollars each would be fair. $84 in total. BB: I’d be happy with $60. He’s a hard negotiator, BB. But I stood firm. Well, firm-ish. VC: Seventy dollars. And I won’t go a cent lower. So, now and then, I’ll share one of these albums with you. Perhaps you’ll be intrigued too and massage the musical boundaries a little. 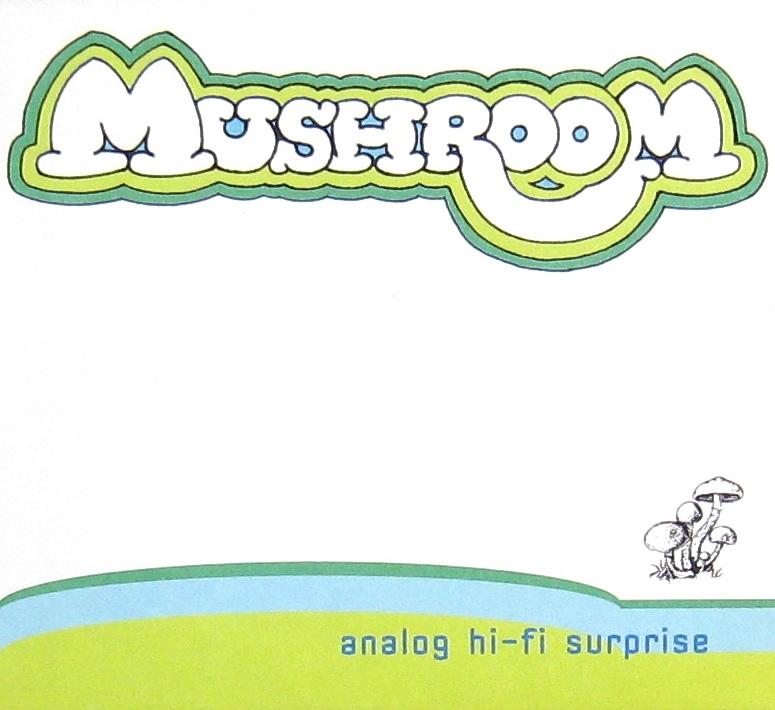 My first choice is Analog Hi-Fi Surprise by US band Mushroom. Research reveals that Mushroom (named hastily after a collaborator with a side-line business in psychedelic fungi) were cooked up by drummer Pat Thomas in 1997 with the express purpose of never making the same album twice. Indeed, the fascinating bio at Allmusic is scattered with references to such diverse styles and genres that you imagine wilful subversion of the ‘know what you’re getting’ maxim beloved of world-conquering bands. One for the restless and exploratory… across no less than 13 albums. But for now, let’s explore 1999’s Analog Hi-Fi Surprise. 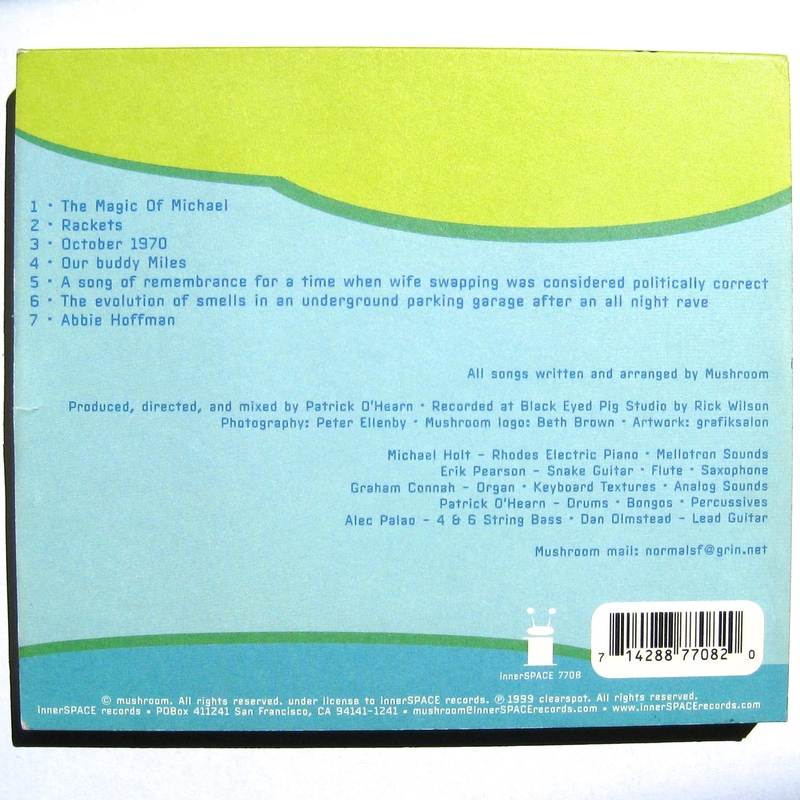 Opening track “The magic of Michael” sounds like it might have been a lost Harmonia piece, replete with spacious synths and a burst of tasty guitar, but as it warms up it becomes some strange lounge-krautrock hybrid with distorted electric piano and a bubbling bass line. This could be the soundtrack for a future retro detective film noir where the air is steamy but the dames are chilled. Another major player in the German independent 70s music scene was Manual Göttsching, the under-appreciated guitarist of Ash Ra Temple (later just Ashra). “Rackets” evokes his sparkling repetitive guitar patterns as a synth mimicking an analogue telephone rises and falls beneath. Again, a fluid inventive base provides cohesion and buoyancy. At just over 5 minutes each, neither of these songs overstays its welcome at all. “October 1970” opens with violin. But no, it is not actually a wooden instrument but a nicely played synthesiser, mournful and reflective. A (real) flute joins briefly before the “violin” is jostled by a wonderful bleepy synth-line for a while. The flute returns, a breath of humanity. Amidst the cornucopia of electronica the flute brings, unbidden, an image of lips and breath. A lovely slow piece. Fans of the mid-70s funk-jazz excursions of Miles Davis will respond very positively to “Our buddy Miles” which wears its homage on its sleeve as it twists, wriggles and undulates through 11 minutes of groove. Once again, special mention must be made of the elastic bass over which some truly wicked guitar spits and growls. The keyboard breaks are fruity too; this one is a head-nodder of epic proportions. Using epic for the previous piece may have been premature given that tracks five and six are two long pieces that blend into each other for no apparent reason other than they both have long amusing titles. “A song of remembrance for a time when wife swapping was considered politically correct“ [9 minutes] taps into krautrock of a different texture and hue, evoking the European jazz-rock of Thirsty Moon in a very enjoyable way. Looser and trippier than the 70s inspiration, this is still a space-jazz-funk-psych freak-out of galactic scope. The arrival of a descending saxophone theme signals that we have merged with the next piece, “The evolution of smells in an underground parking garage after an all night rave” [9 ½ minutes]. If that title repels a little, here’s an alternative that tries to capture the feel of this drifting, slow-groove piece: “Spaceport cocktail bar, 3:45am, alone”. If you are a fan of the extended wanders of the German electronic scene, this pair provide a delightful diversion. Final piece “Abbie Hoffman” does not seem to have a direct connection with the political and social activist but its slow build and languid groove are hypnotic like a good acid trip (so I’m reliably informed). Imagine Future Days period Can and you are leaning in the right direction (or perhaps, the left direction), though Mushroom here are less percussive and less, er, teutonic. If you already know and enjoy the artists and music referenced in this piece there is little doubt that you’ll take to Analog Hi-Fi Surprise like tonic to gin. Coming from the other direction, if this music entices or intrigues you, some archaeology around the influences will reveal treasures untold. Either way, this is one delicious analogue Mushroom and the question of whether it transcends the sum of its influences is largely irrelevant. Isn’t it though? You’ve gotta love a band who set out to be different every outing. That’s precisely what I admire about Mr. Bowie – it always sounds like Bowie but never like something he’s done before! As my ‘album of the week’ has been Sun Ra’s Supersonic Sounds,I could not resist a title like ‘Analog Hi-Fi Surprise’ (even if the spell checker reminds me that analogue is spelt wrongly). Only a couple of tunes on YouTube … ‘trippy’ seems a good adjective to use in a string, but – my goodness – I can hear Z scatting in the background, and that more than anything else is telling me this album is a lucky find for you (and now me). Thanks VC. Ah, the glorious interconnectedness of music. Mr Ra would surely approve. I will have to try to find that music. It sounds interesting. If reading here leads to new listening there, that’s a great result! This sounds like a wonderful release … and one I’ll need to look out for. Duly added to my (ever expanding) list! It is terrific J. (Probably not available on vinyl though!). Ach, pity. Still, sounds like one that will make the rare CD purchase worthwhile!